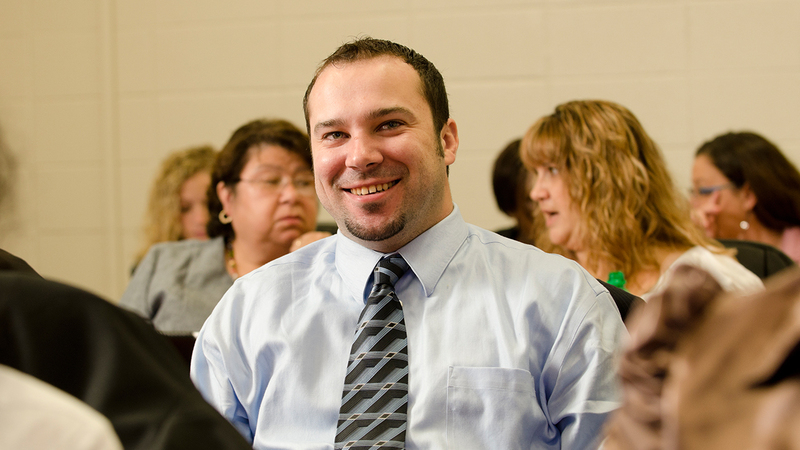 The Bachelor of Science in Nursing degree program at Lourdes has a competitive admission process. 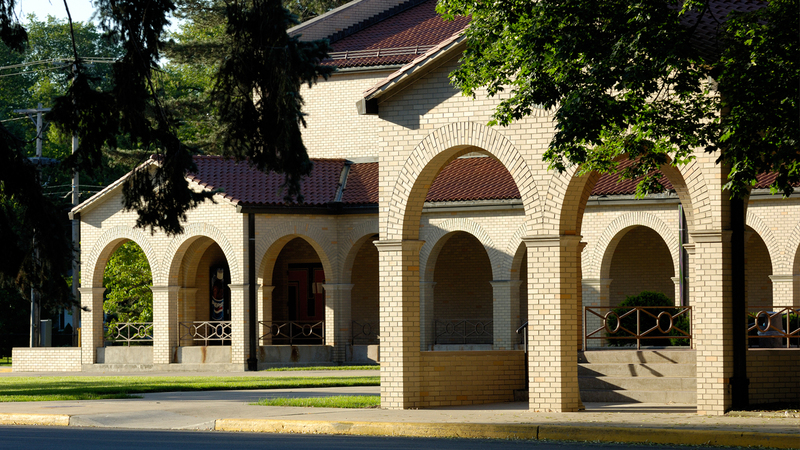 However, in recognition of the fact that many students are capable of maintaining a solid GPA, Lourdes is now permitting new students to be directly admitted to the Nursing Major providing they achieve a minimum 3.0 GPA requirement in high school and have scored at least a 22 on their ACT or an 1120 combined on the SAT. 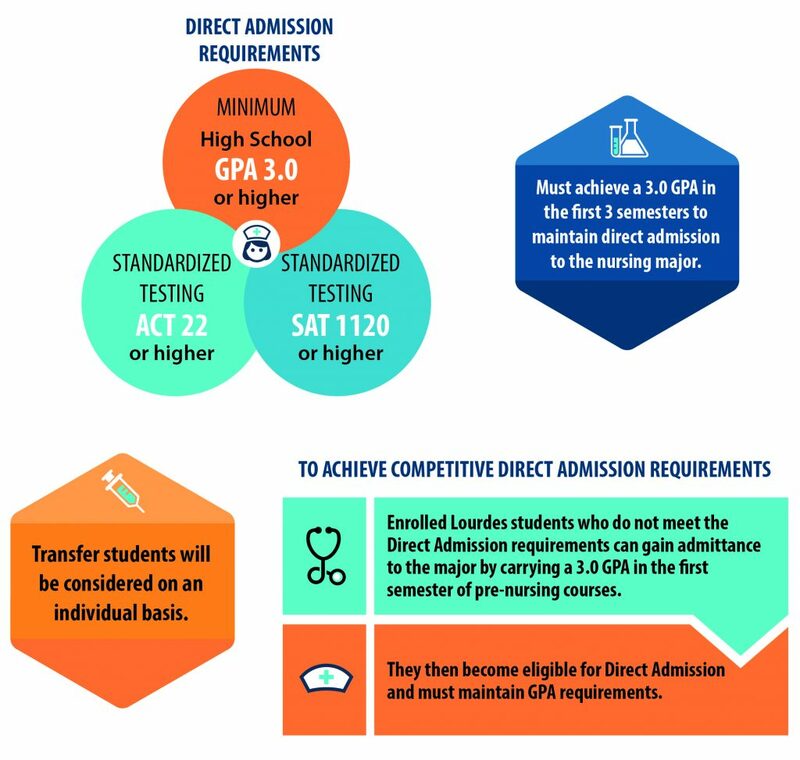 These Direct Admission nursing students should then maintain their 3.0 minimum grade point for the three semesters of pre-nursing requisite courses. 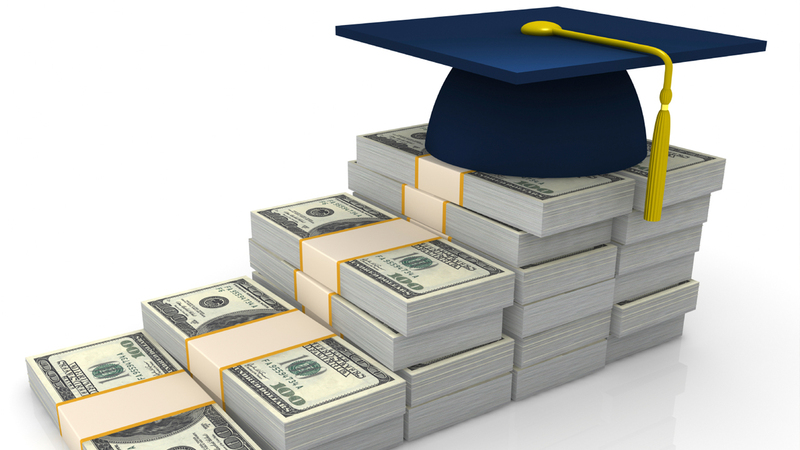 If a Direct Admission student drops their GPA to 2.5-2.99 for a semester, the student will be placed on probationary status where if they can successfully raise their GPA back to the 3.0 the following semester, they will retain their Direct Admission status. 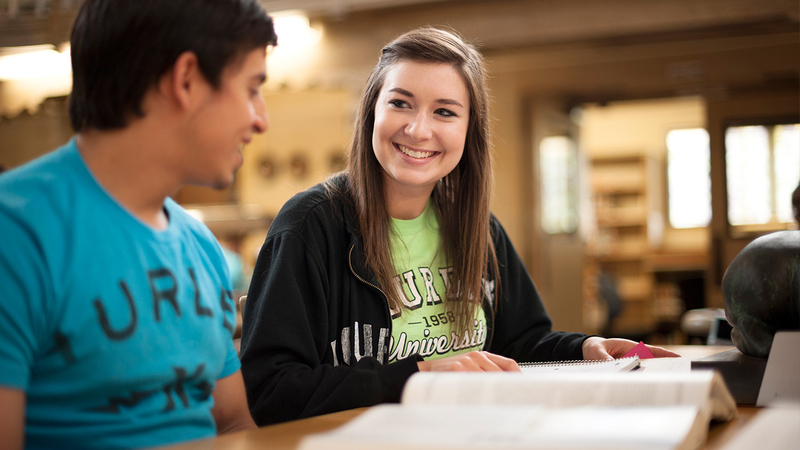 Students may consult the University catalog for further specific information on the Direct Admission criteria. If a high school student’s GPA does not meet this requirement, the individual is qualified for admittance as a Pre-Nursing Major. 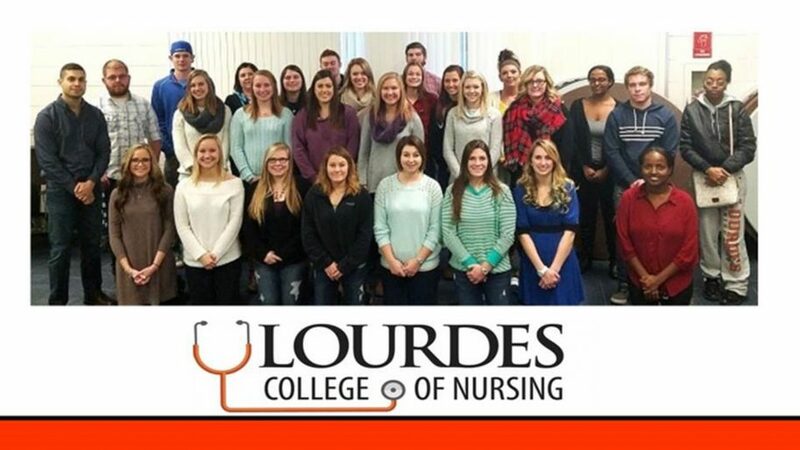 After completing the first semester of undergraduate coursework at Lourdes University, if the student achieves a 3.0 GPA, he or she can gain Direct Admission status to the nursing major at that time. 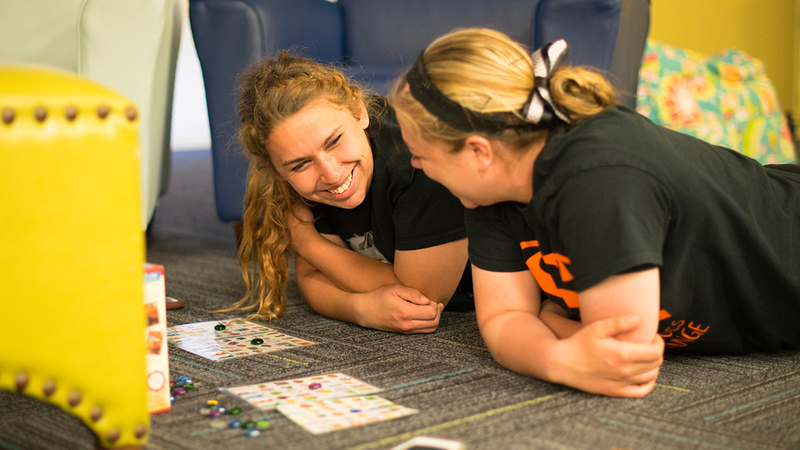 Because the major is competitive in nature with limited clinical space for juniors and seniors, academic advisors work with Pre-Nursing Majors to assist them in accomplishing their goal and if necessary, identifying an alternative major without lengthening their time to graduation. 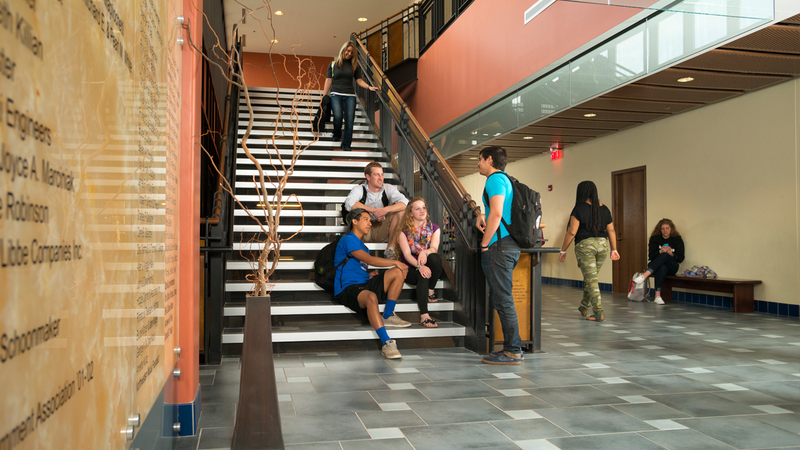 For questions, contact the Admissions Office at 800-878-3210, ext. 5291 or luadmits@lourdes.edu.